2018 Audi RS 5 Coupe Launched In India At Rs 1.10 Crore. Audi India has launched the new RS 5 Coupe in India at Rs 1.10 crore (ex-showroom). The coupe becomes the most powerful member of Audi’s A5 Brat pack (which includes the A5, S5 and the A5 Cabriolet) thanks to a new 2.9-litre bi-turbo engine, which is smaller than its predecessor but pumps out more power and torque. The sports tourer will continue to be imported as a CBU (completely built up unit) in India. Being the most affordable RS in the country, it joins the Audi RS 6 Avant and the RS 7 in Audi’s India lineup. The use of a new, lightweight platform has helped the 2018 Audi RS 5 Coupe slash 60kg of its bulk. Growing in dimensions, the RS 5 Coupe is now 74mm longer and 6mm shorter than its predecessor. Even the wheelbase has stretched by 15mm, to 2,766mm, paving way for more rear shoulder-, knee- and leg-room. Despite being a two-door coupe, it can accommodate four passengers with ease.The increased rear seat space makes these seats more usable in the new model. 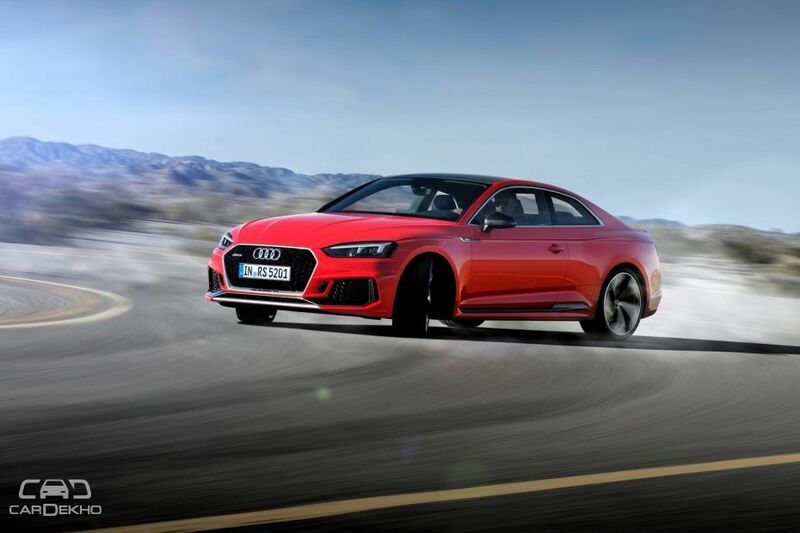 Equipped with a 2.9-litre V6 engine, the Audi RS 5 Coupe produces max power of 456PS and 600Nm of peak torque (170Nm more than the earlier version). The bi-turbo mill helps the sports tourer sprint from 0-100kmph in a mere 3.9 seconds (it takes 0.6 seconds less now), and attain an electronically limited top speed of 250kmph. As per Audi, the fuel efficiency has also been bumped up by 17 per cent, to 10.8kmpl. The quattro permanent all-wheel drive system ensures power is delivered to each wheel all the time. 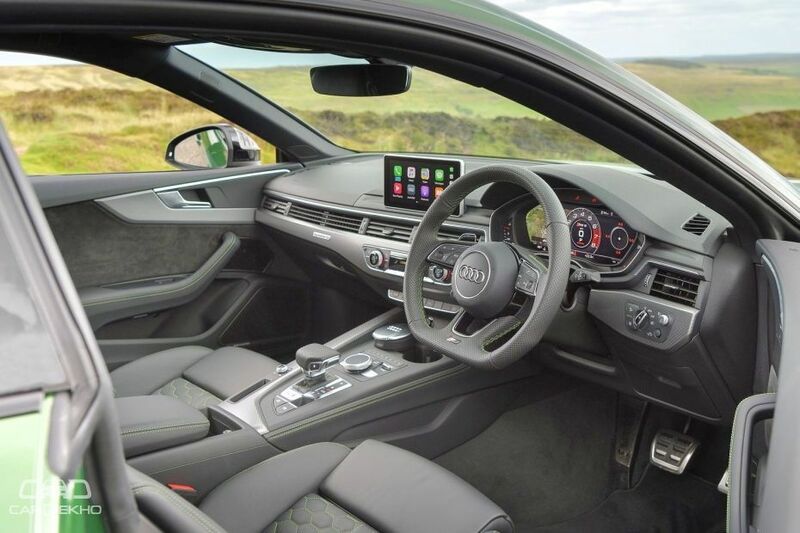 The feature list of the two-door RS 5 Coupe continues to be extensive, with matrix LED headlights, panoramic sunroof, 3-zone air conditioning, electrically adjustable front seats with memory and massage function for driver, alcantara leather upholstery, new MMI controls, voice commands and Bang & Olufsen sound system with 19 speakers. The RS 5 becomes the second Audi model to be launched in India this year after the new-generation Audi Q5 was introduced in January 2018. Later this year in Shanghai, the Stuttgart-based carmaker will be globally debuting its all-new, 5-seat coupe-SUV, the Audi Q8. If you happen to be an existing Audi user, why not get your car serviced at the upcoming week-long Audi service camp starting from April 16, 2018.